No. 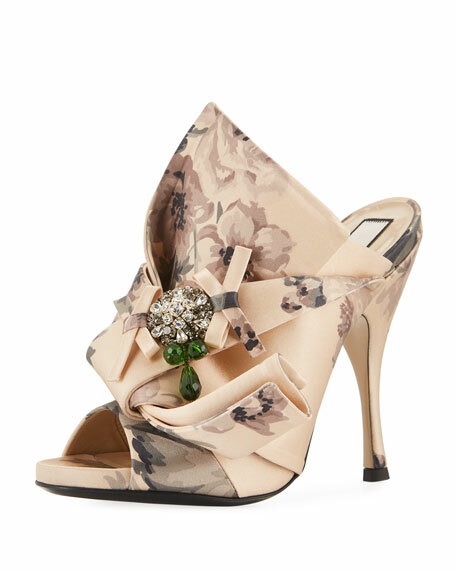 21 satin sandal in floral print with crystal embellishment. Exclusively ours. 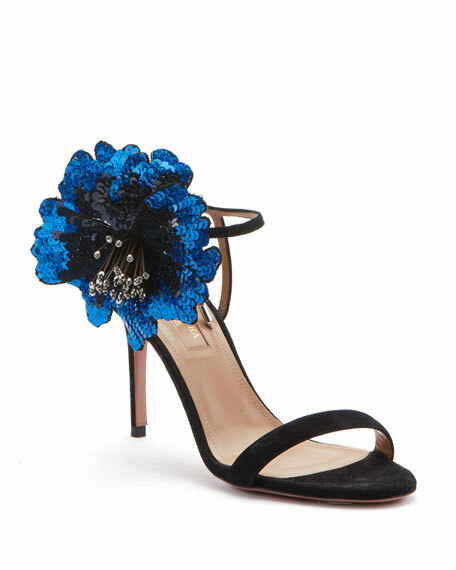 Jimmy Choo velvet sandal with crystal peony embroidery. 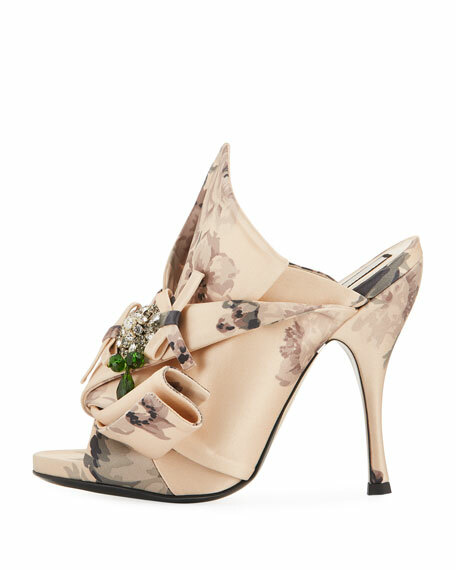 4.8" embellished block heel with platform. Strap bands open toe. Adjustable ankle strap. Leather lining and sole. "Juliet" is made in Italy. 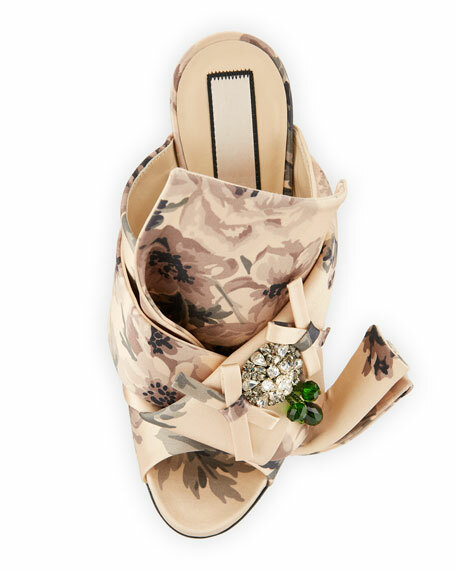 Laurence Dacade floral-embroidered mesh denim sandal. 3.2" covered wedge heel; 2" platform; 1.2" equiv. Crisscross straps band open toe. Adjustable ankle strap. Leather lining and sole. "Helissa" is made in Italy.